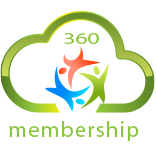 360 Membership™ is a ‘cloud’ based, by subscription, product delivered as a service (SaaS or Software as a Service). In simple terms this means that we (CocoNET) run the software on one of our servers and store your data on another. Effectively, the only computing resource that you need is a low grade computer that can run a browser, in a Microsoft, Apple or Android environment. Similarly your members can access their area via any computer’s browser or a smart device, such as a phone, iPad, tablet etc. Thus we don’t actually provide you (the user) with a software package to install and manage, we provide you 24/7, un-interrupted access to 360 Membership™ from wherever you may be. We maintain the servers, update the software and back up your data all in a modern and secure hosting facility in Sydney. Potentially expensive site visits by IT staff for software upgrades, bug fixes or routine housekeeping functions just do not happen. Client use of 360 Membership™ is completely covered by your annual fee. CocoNET use the services of two professional hosting organisations, both occupy modern, secure premises, run constantly upgraded equipment, with guaranteed 24/7 uptime. Data is backed up between distinct locations, all of which are catastrophic disaster proofed. Further details are available upon application, including a formal SLA. In short the answer regarding your data is that it is very, very, very secure. Due to the all pervading nature of the internet and the availability of reliable and fast connections, rather than sell (licence actually) their software to clients software vendors rent out the use of their software and maintain the servers and the data themselves. Not only does this lower entry costs substantially for our clients, and relieve them of the task of running servers and maintaining them, but also allows them to cease use of the software, at any time, with little or no cost. Additionally, from the developer’s point of view, he is assured that the computer hardware is appropriate and state of the art, he is spared most time consuming site visits, has only to maintain one virtual piece of software and has a predictable and steady revenue stream. Excepting one off implementation and training fees, this annual subscription, which includes support, represents the total cost of ownership. This is a major competitive edge for us at CocoNET as not only did we create 360 Membership™ but we also have a long and successful history as developers of similar web based products. We are happy to discuss changes and/or additions to the product. Almost any computer that can run a modern Web browser will run 360 Membership™. The short answer is as much as is needed. An administrator for an average 360 Membership™ site can be trained to use the software in one hour. This question is best answered by referring to the main CocoNET website: http://www.CocoNET.com.au In short, CocoNET is based in St Leonards on Sydney’s North Shore. We were founded in 1996 and have since developed many hundreds of Web sites, many bespoke web applications and cloud based solutions. CocoNET is small enough to maintain a personal relationship with most clients, yet big enough to stay at the leading edge of software design and technology. Clients range from small businesses to multi-nationals and government. We have developed versions of 360 Membership™ for certain specific verticals, such as Trades Union. The 360 membership™ website provides a demonstration area for potential customers to familiarise themselves with the product. Access to this is granted following an initial online demonstration from our offices. We can demonstrate to multiple client sites concurrently. For larger and more complex sites, CocoNET can arrange an on site demonstration of 360 Membership™. Basically, send us an email or complete the demo request form in this website. We will ask you to complete a membership requirement form enabling us to gather sufficient information to set up your site and migrate your existing data. We will then arrange a timetable for implementation and training, whilst confirming any initial costs and the annual subscription rate. In most cases this can be accomplished remotely. You notify us that you wish to cease the service when your current subscription expires. We will send you a copy of your data in CSV format and delete your details and data from our servers. That’s it. Yes. We have a number of existing resellers, generally selling into a specific vertical market. New partners are very welcome. Call us for a chat.